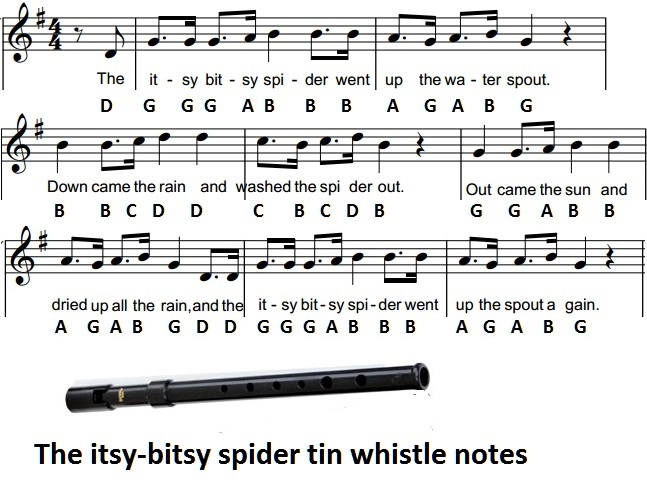 The itsy-bitsy spider tin whistle notes. A children's nursery rhyme that's very popular in America. It was written by Wolf, David Bernard and recorded for the kids T.V. show Barney.